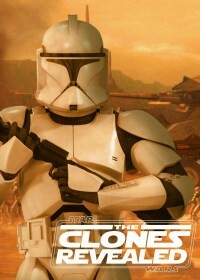 In the year 2002, millions of people experienced the second movie in George Lucas’ prequel Star Wars trilogy â€” Attack Of The Clones. For those who don’t know me, my (screen)name is daveytod. I’m active with that name on several boards around the interweb and I’m something of a fan editor. 18 months ago I started work on the follow-up to ‘The Sith Revealed’. Now, I know TSR never had a proper release, and that’s because I was just never happy with it. There were some terrible audio sync issues and the whole thing just lacked ‘ambition’ when compared to the greats of this particular little fan edit niche, such as ‘Deleted Magic’ and ‘Building Empire’. 18 months is a long time, and although I’d become more competent at using the various programs involved, there came a time when I simply gave up. It just wasn’t working for me, and so I sat on the unfinished project for months, trying to get enthusiastic about it again. When I finally did, it was with a hell of a lot more ambition than it had before. I included scans from the comic adaptation featuring extra lines, scans of concept art, production photos, even commentary soundbites and subtitles. To further clarify exactly what this movie is: I’ve taken Star Wars Episode II 'Attack Of The Clones’ as a starting point. On top of the existing video, I’ve added various material to give an extremely in-depth behind the scenes look at what goes into making a Star Wars film. For example, in the speeder chase alone, I’ve used concept art, publicity stills, rough computer animatics, comic book stills, alternate audio and video, cut lines, (I’m sure there’s a kitchen sink if you look hard enough) to show the various stages this sequence went through before it became the sequence you see on the DVD. As such, the only time you actually see the proper movie, is when I had nothing to add, bar trivia subtitles or commentary. To further enhance the DVD and make repeated viewing of your favourite scenes even easier, there are 67 separate chapter stops to choose from. 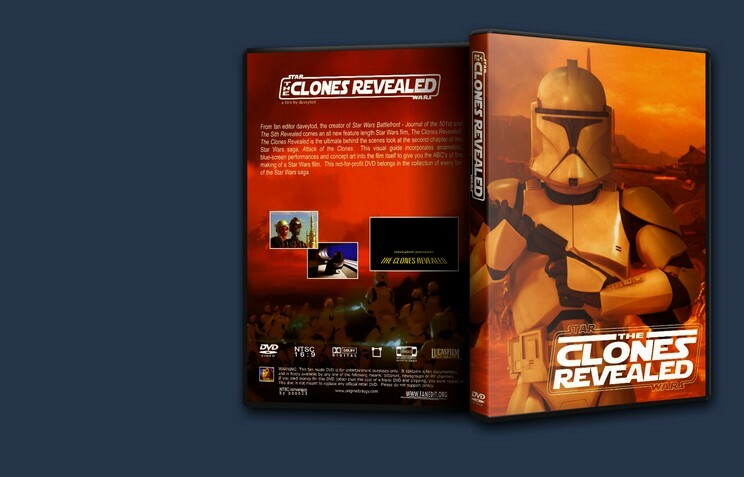 “The Clones Revealed” is far and away the best thing I’ve ever produced, and I’m very proud of it, even if it has driven me to the edge of madness at times. I hope you guys enjoy it too. Awesome Star Wars fanedit. Provides a nice look at the movie. 5 stars!